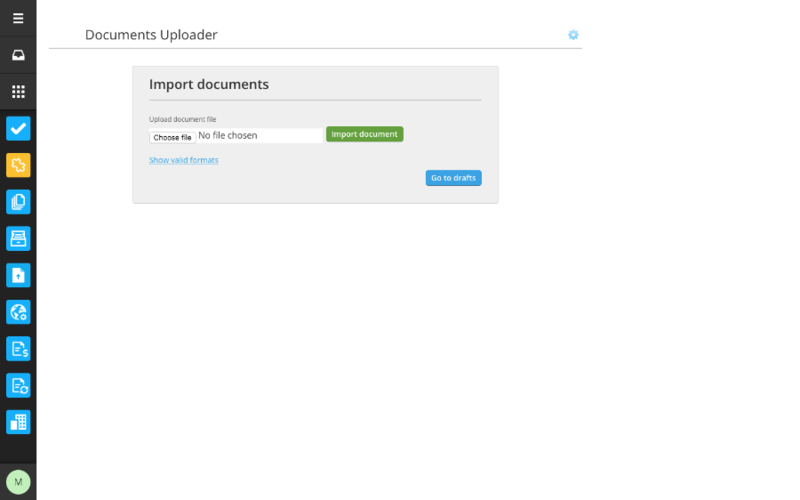 For all the users that are able to export invoices in one of our supported formats, Tradeshift platform gives possibility to upload the files through the web interface using the Documents Uploader app. You can install the App from the App Store, under the “Document transfer” category. After clicking "Activate", and then "Accept", you can access it from the Apps list in the launcher to the left of the screen. 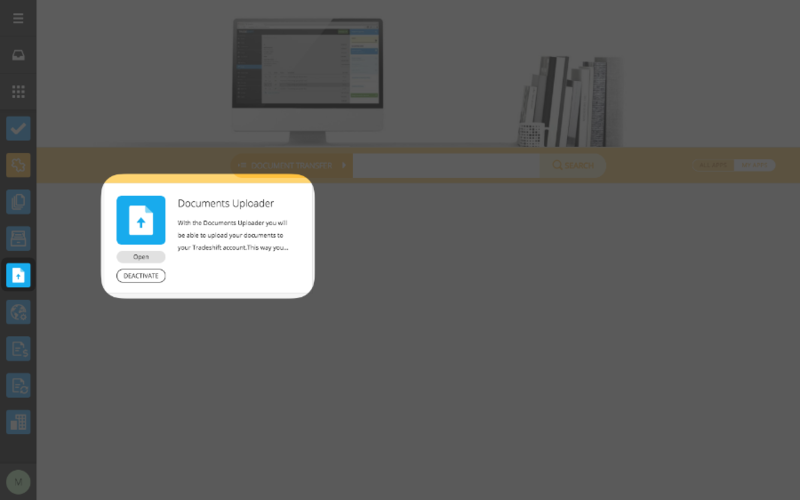 The upload process will then begin, and if there are no validation errors in your file, it is made into a draft which you can find in your documents. If the invoice didn't have a recipient defined inside it, then you have to find the recipient by using the search field provided on the invoice. Then make sure that the invoice has all the details you want it to have. When you are ready to send it, click on the green "Send" button. Here you have the option to make a corrections and to submit your new electronic document. You can drag and resize the split view to see all necessary details when validating your document. 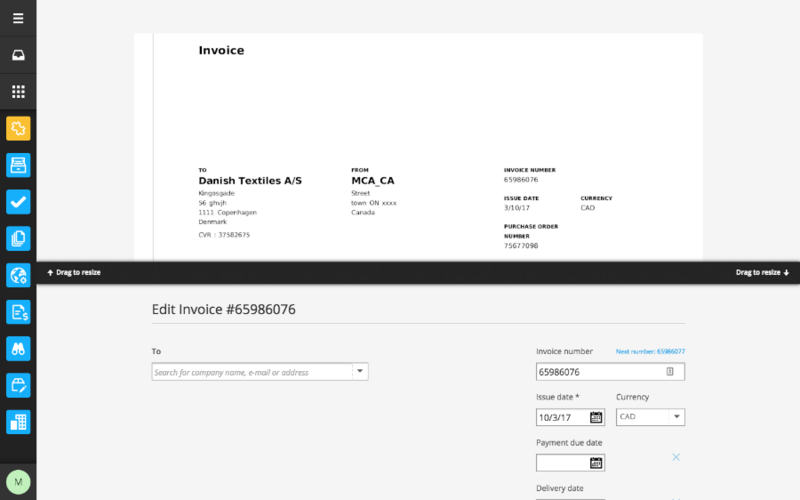 Once the invoice is validated you can preview your invoice or credit note by clicking the blue "Preview" button on the bottom of the page. If everything is in place you are now ready to click "Send".